I also had some additional money since I was able to sell a few games. This is a list for all the games I bought and played. I will keep updating it with more details and thoughts after I get some game plays. Status: Played, was sold out early Thursday. I would have definitely bought it. 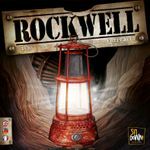 Comments: This would be my number one game I played at Essen this year. I had read the rules before and it was a little confusing since the game has a few new mechanisms. The people at the booth were really friendly. I played the game with a couple of French guys but we had two people explaining the game to us. The rule explanation I received in English was very well done by Hendrick (I think) and the French explanation was done by the designer Cédrick himself. He also sat with us for a few turns. I could see that he really loved the game and it showed with his explanations. Cédrick is a really nice guy. He felt really sorry that I could not get to buy the game. 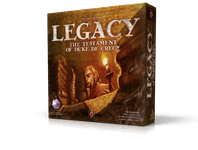 At its core it is a deck building game. However it also has worker placement and reusing of other cards in your hand to boost the strength of the cards you play. They sold 600 copies in one and a half day. I heard they had a problem with the cards and had to do an emergency reprint. I also heard that the copies will be constrained initially in the US. Comments: I really enjoyed the game. Definitely one of the top games I played this Spiel. The components are top notch, I love the modular circular board and all the components. There is a lot to do in the game and different ways to make money. Also you need to team up with the others to dig together and the resources are shared. Unfortunately it does not work for a 2 player, the 2 player version has a dummy player and my rule is if it does not play well with 2 player I don't pick it up. Bummed but I was glad people enjoyed it, at the end of Sunday only a couple of games were left. Almost sold out. Recommended if you play with 3 or 4 players. Status: Played a quick 3 player game. Bought! Comments: I had already read the rules before the fair and was looking forward to playing this one. The game plays very smooth and it is easy to teach/learn. I would put this as a light-medium work placement game. You start with a lot of workers, 18 for a three player and the spaces aren't blocked. To reuse a space you need to but one more worker that what is present. If there are also 2 workers at the space to use the action again you place 3 workers.This is similar to bidding in Keyflower. The game plays very quick, I would say 45 min for a 3 player. The english game sold out at the R & R booth on Saturday. Comments: Number 2 for my played games. I love the artwork. However while talking to people not everyone liked the artwork. It is similar to Troyes. The game is your typical victory point salad game. Lots to think about and lot of ways to get victory points. Your placement in the Nouveau board affects majority for columns to get cards, majority workers around the shields gets VPs and putting your buildings in the right places gives you advantages. Maybe the game suffers from having too much to do. Definitely would be AP prone. My wife was not too excited about it. I didn't but it as I knew it would get sold out, was sold out at Pearl games and Z Man. However my FLGS was sure to get it soon. This was a gift to the person who got the last copy . Played this at Z Man, great explanation by the lady at the booth. Comments: Nice worker placement with a theme of building railroads in Russia. Still a number of ways to get VPs however I felt it was much more focused than Bruxelles. Here you get a lot of VPs the winner of our game scored over 400 points. You score points after each round (6 rounds in total), only negative was counting your points after each round. My wife loved this game, I preferred Bruxelles. She was a little disappointed we were not picking it up immediately. Sold out at Z Man. Definitely worth checking out. BTW played this at Z Man and they have great people teaching the games, top notch. Comments: This would be definitely my wife's favorite game from the fair. While doing my research I decided to pass on this one. However when we went to the booth one table was opening up and we decided to try it. The components are absolutely gorgeous. They have wooden pieces indicating evolving humans. In the game you can do 1 of 3 things. Evolve where you place a people which has one different characteristic(height, strength, color) from a neighboring piece. Move where you move your piece based on the height or Swap with a range based on the pieces strength. You get cards with abilities or objectives and the person with the most points in the end is the winner. It is a lightish game but has some meat to it. Definitely recommended. Comments: From the same publisher as Origin and another gorgeous game. I had read a little bit about it before the fair. However my wife had no idea about the game. Unfortunately we didn't get a good explanation about the game (language barriers) and my wife didn't get what we were doing. I wish there was a better explanation about the theme of the game. 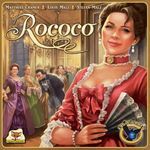 The game has a lot of interesting mechanisms and the reason we bought this is because the gameplay is very different from any other game we have played and of course the artwork. At its core it is an area majority game. Check it out! 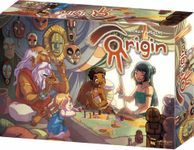 Both Origins and Corto have a lot of text in the cards but they sold only one version with English/German/French/Dutch cards and rules all included, a lot of wasted components! Update: Corto only has English and French, Origins has all 4. Comments: I don't know why but I dislike dice chucking games with the exception of perhaps King of Tokyo. I was very apprehensive of trying this one out. But it turned out to be a great game. You roll dice to get different types of cards like health, job, relationship and prosperity cards and these cards help you with your dice roll to either modify the result or have the ability to give you more dice. The game is very thematic. For example if you have an own business as a job then you get a lot of money additionally to use every turn but since having an own business is stressful you have to roll a health every turn to keep your business. Liked the artwork and the quality of the game as well. Light game but it still has some meat in it. Comments: This was an Instabuy for me. I love Pick a Dog and this a great stocking stuffer. Great game to play with non gamers. Everyone I have played with loves the game and the cute artwork. Comments: Tried to play to game multiple times at the fair with no luck. The game always had people waiting to play it (good sign!). I was tracking the quantities at the Eagle booth and picked up my copy when they had less than 3 promos left. I was a good idea because on Sunday they increased the price of the game (without the promo) and they sold out soon. I had read the rules before and I was confident that it would be my kind of game. Comments: I watched MiWi's great walkthrough of the game before the fair and knew I would like it. I didn't play it as there were always people waiting to play and since I had already picked it up I though I would give someone else a chance who was still on the fence. I think it was sold out at Z Man. Status: Preordered with the limited edition box! Comments: After watching the Rahdo Runthough and reading all the Designer diaries of the game I had to have it. I had a chat with Michiel the designer at the fair. He was very friendly and could see he was very passionate about the game. I wanted to go back to get a rules explanation from him but I though I would let him talk to other people to show them the wonderful game. Was sold out on Sunday. Comments: Another game with the Rahdo treatment. I really liked it from the video and when I picked it up the designer signed my copy. Looking forward to bringing this to the table. However on Sunday there were still copies left and they also reduced the prices, it was cheaper than my preorder price. Hopefully that is not a bad sign. Comments: I got Dungeon Petz at the Essen Auction and wanted to get the expansion because it would be cheaper than after the fair. Looking forward to play Dungeon Petz. Comments: I really like Keyflower and so this was a must buy. However Keyflower is difficult to introduce to new people and my wife does not like it too much. Did it need additional complexity? Time will tell. Didn't get a chance to play it, however the demo tables only had the base game I think. Don't know if it sold out like the base game did last year, Update below. Comments: To fulfill my completionist tendency. I don't get Snowdonia to the table often enough maybe I should have passed on this. 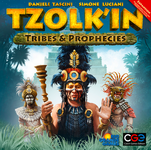 Comments: TZolkin is a really nice game but a bit complex for my taste, however I like the addition of the Tribes and Prophecies, must play it more. Status: Bought with the base game. Comments: I mailed CGE to ask if they would have the base game on sale. They said they were working on it but were not sure it would make it on time, 2 days before the event the mailed me saying it was ready. I was thrilled. Looking forward to playing this great game! Comments: Was on my wish list after watching the Rahdo Runthough. The game was on sale for 10 euros, picked it up instantly. Comment: Another Rahdo Runthough influence and another game on sale for 12 euros. I should stoping watching Richard's videos. My wallet feels very light now! Comments: Didn't get a chance to play this one, was on the fence for a long time. 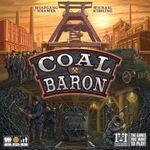 I am not sure it plays well two player and people say it is a little broken because you don't get to expand your buildings if you don't build power stations and you might be unlucky to not draw these buildings in time. The tables were either full or empty with no one to explain so didn't get a chance to play. Maybe I would regret the purchase but I am a sucker for City building games. I bought this on Sunday after a price drop. Comments: This was on my wish list for a long time and it was on sale for 15 euros. Had to pick it up! Comments: Got a nice rules explanation from a friendly gentleman at the booth. Its a card game of managing holiday resorts in Poland and inviting guests. Sounded interesting enough so I picked it up. Comments: I love Flash Point and now I have all the expansions for the game. This is the only cooperative game I have so I can go overboard with this one!